You know, to be very honest, until late last year I had never really considered Amazon to be the go-to place for my fashion finds, in spite of being an Amazon Prime user, and that too being an avid shopper on Amazon (you should see my cart, it is always full with the maximum number of items that you can add, any guesses on how many? 50, yep, that’s how many! And the rest gets moved to my ‘wish list(s)’ or ‘saved for later’). 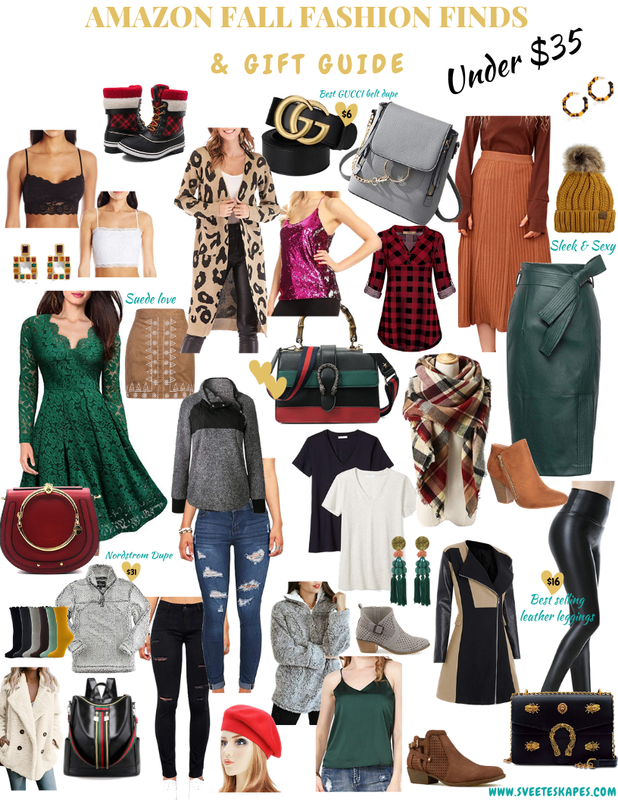 Amazon Fashion wasn’t something I thought much of, but that quickly changed once I happened to spot a few dresses on their website that I adored, and I have been totally hooked since then. I not only find good fashion related stuff for me on Amazon Fashion but also for my hubby and baby. Given how quickly I get everything delivered and the fact that I can return (most) items for free (tip: always read seller’s return policy) I don’t have to think much before buying an item from Amazon worrying if something will fit me or not, or if something doesn’t look as good in person as it does online (another tip: always read reviews by other customers). Now get on it and order soon so you can rock the Thanksgiving/Friendsgiving gatherings.